I read an article about my favorite Christmas movie, It's a Wonderful Life. The author of the article says that George Bailey lived a virtuous life that brought him to the bridge, to the point of brokenness. Perhaps because I relate so strongly to George Bailey, the movie has become my favorite. I have stood at the bridge. I was diagnosed with rheumatoid arthritis in my twenties and fibromyalgia in my thirties. Heart issues have plagued me over half of my life. 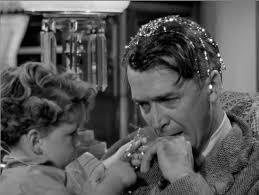 In the movie, George Bailey also encounters health issues. He loses his hearing and is declared 4-F and is not able to join his brother and friends in defending his country. Health problems have brought me to my knees more than once. I have cried for God to ease the pain and wondered if God has heard. I have stood at the bridge. I lost my father when I was in my twenties and then chose to provide care for my mother. My mother knew I'd remain by her side, come hell or high water, and often took out her frustrations on me. I endured them, although not always with equanimity. In his twenties, George lost his father and was forced into a difficult situation. His hatred of the Building and Loan was not stronger than his sense of duty. Humiliation dogged him, not only from Mr. Potter, but also from the embarrassment of not providing adequately for his family. Like George, I prayed for God to take the burden from me or to ease the strain, and like George, often thought God had not heard my prayers. I have stood at the bridge. Daily living has a way of knocking the breath from your dreams. George Bailey had not completely given up on his dream of being an architect. Tucked in the corner of the living room, in the midst of family chaos, were a model, a drafting table, and books. Like George, my family has infringed upon my dream, in my case, of being a writer. I, too, have knocked my dreams aside, dashed them to the floor in a rage, and prayed to a God whom I thought did not answer. I have stood at the bridge. People I've known have brought me to frustration and tears, much like George's uncle who brought him to financial ruin. I have faced betrayals and lies and had no clue how to handle them. And often, the actions I took only added to the heartache. 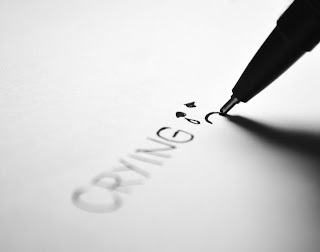 With tears streaming down my face, I have cried to God to ease my anguish and only heard my own echoing cries. I have stood at the bridge. Like George, I've seen someone floundering in the water, about to go under, and have jumped in to help. George jumped in, literally, to save Clarence, and by doing so, was given a chance to see the impact he'd made on the lives of others. I have not seen the impact I've made and won't, not this side of heaven, or at least, not completely. I have cried to God and asked if I have made a difference and have only encountered silence. And yet, it is in the silence where we find God. In the moment of stillness, when we are completely aware, we know our lives are not in vain. God answers, in his time, in his way. Health problems teach us compassion. Struggles teach us patience. Frustrations teach us to rely on God. And even when we think we are at the end of our rope, God can still use us to help one more person. Sacrifices we make are not unappreciated, are not useless, are not wasted effort. A sacrificial, virtuous life is a wonderful life. To gain a full understanding of First Timothy 2:11-15, let’s begin in Genesis 2:20. In this verse, the word translated as “helper” is the Hebrew word ezer. We're familiar with the line Here I raise my Ebenezer, hither by thy help I’ve come in the hymn “Come, Thou Fount of Every Blessing.” Ezer means help, to run to the rescue, or to bring aid. God knew one day man would be in need of rescue. And from where would that help, that rescue, come? From God’s son, through Mary, a woman. According to these verses, Neither is there salvation in any other. Again, we have a line from a hymn, “The Old Cross Road” that emphasizes this—There is just one way to the pearly gate. And yet, isn't it strange some have difficulty with 1 Timothy 2:13-15? Let’s look at these verses. 1 Timothy 2:13-15 cannot contradict the basic tenet of Christianity—the only way to heaven is through God's son, Jesus Christ. It would be nonsense to say there is only one way to Heaven except in the case of women who are saved through childbearing. So, “notwithstanding she shall be saved through childbearing,” must have something to do with that basic tenet. “She” is the woman Eve. It is through her seed that Mary will give birth to Jesus. 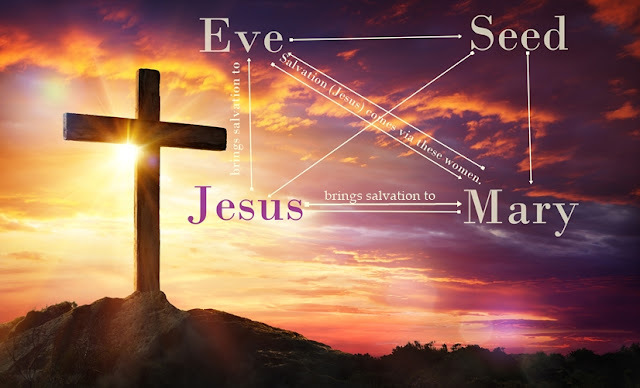 Jesus provides salvation, not only to Eve, but to all who continue in faith, love, and holiness. Jesus is mediator and redeems the transgressions of those under “the first testament,” that is, those under the Old Testament, including Eve. How, then, will Eve be saved? Through Mary's childbearing, through Eve’s seed. And thus, the Bible brings us full circle. And this is exactly what happened when Mary brought forth the Son of the Living God. Jesus bruised the head of Satan and offers salvation to all who ever existed, who now exist, or who will one day exist. And all is accomplished through the Savior's birth, Mary's childbearing, Eve’s seed. Thus, the use of ezer in Genesis 2:20 makes perfect sense. Through childbearing, help was on its way to redeem us, to rescue us, to save us. However, what of the rest of these verses in 1 Timothy 2, specifically verses 11-14? Let’s take a closer look. That Greek word is hésuchios and, interestingly, is the same word used at the beginning of this chapter. That word translated “quiet” is hésuchios. It’s ludicrous to suggest that the we in this verse must remain silent. A “quiet” life and a “silent” life are certainly not the same. We can thus conclude that this same word in verse 11 can also be translated “quiet” and not “silent.” Women were not being told by Paul to be silent, but to learn quietly. In other words, to listen, and to respect their teachers. This was especially important for women during that time. Within the society in which they lived, few women were given the opportunity to learn. They had a lot of catching up to do, and their teachers, by necessity, were men. Let’s move on to verse 12. First, note that Paul uses “I.” In other words, Paul spoke to a particular group of women, at a particular place, during a particular time. It is up to each reader to decide if Paul’s “I” constitutes a command from God. Let’s suppose, for the sake of argument, it does constitute a command. What is Paul saying here? While the woman is learning, as we’ve just seen in verse 11, quietly and with respect, she is not to take over the teaching role by “usurping authority over the man.” Usurp means “to seize and hold in possession by force or without right,” according to Merriam-Webster. Let the woman learn quietly, with all respect for her teacher. But I (Paul) don’t allow a woman (while she is learning) to take the leadership role, especially by disrespecting the man teaching her, but to learn quietly. Verse 13 is plain and straightforward, and few have problems with this verse. A look back in Genesis helps to clarify verse 14 further. The Lord God took the man and put him in the garden of Eden to work it and keep it. And the Lord God commanded the man, saying, “You may surely eat of every tree of the garden, but of the tree of the knowledge of good and evil you shall not eat, for in the day that you eat of it you shall surely die.”(Genesis 2:15). Eve is not yet in existence when God gives the instructions, and as far as we know, Adam passes along the information to the newly formed Eve. It is certainly possible God gave Eve the instructions face to face although the Bible never tells us this. God’s instructions to Adam did not include neither shall you touch it. So when the woman saw that the tree was good for food, and that it was a delight to the eyes, and that the tree was to be desired to make one wise, she took of its fruit and ate, and she also gave some to her husband who was with her, and he ate (Genesis 3:6, emphasis mine). Adam stands by and watches the scene unfold without speaking up. Adam sins along with Eve. Adam sins knowingly and willingly. Was it not his duty to stop Eve from disobeying God’s word? Of course! 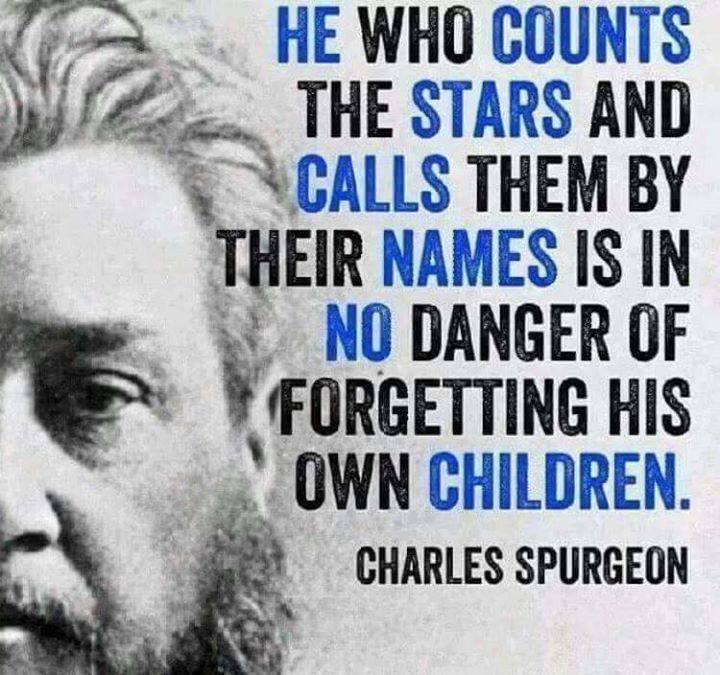 And this is why we find throughout the Bible; scripture says man is the one through whom sin entered the world. See also 1 Corinthians 15:22 and Romans 5:19. And so, let’s put what we’ve learned together and paraphrase 1 Timothy 2:11-15. Let the woman learn quietly, respecting the man teaching her. I, Paul, am not going to allow a woman to disrespect a man, by being domineering. She needs to learn quietly. And even though Adam was formed first, Eve, by her actions, her transgression, was caught up in the Fall. Even so, through her seed, Eve, along with Adam, and those in the past, present, and future, will be saved if they continue in faith, hope, and charity. A common trait appears among popular television shows--Seinfeld, Friends, and The Big Bang Theory, to mention but a few. All deal with a group of friends who are loyal to each other. Loyalty is a trait often lacking in today's society. The absence of loyalty is a result of apathy or selfishness. For years, a lot of people posted memes about walking away from toxic relationships. Many felt empowered by these to leave a spouse or a friend, and sometimes they needed to do so. Toxic relationships exist. Abusive relationships exist. However, sometimes we mislabel normal relationships as toxic or abusive. Normal relationships are often messy. People are sinful--all people, including me, including you. Sometimes we will say or do things selfishly or, at least, without thinking. Sometimes we have quirks. Sometimes we have a problem that might take a long time to uproot. And how often will we continue in such behavior? Weeks, months, years, decades? When we forgive, we are giving up hope for a better past. When we walk away, we are giving up hope for a better future. Walking away from a relationship, the absence of loyalty, is the definition of toxicity. 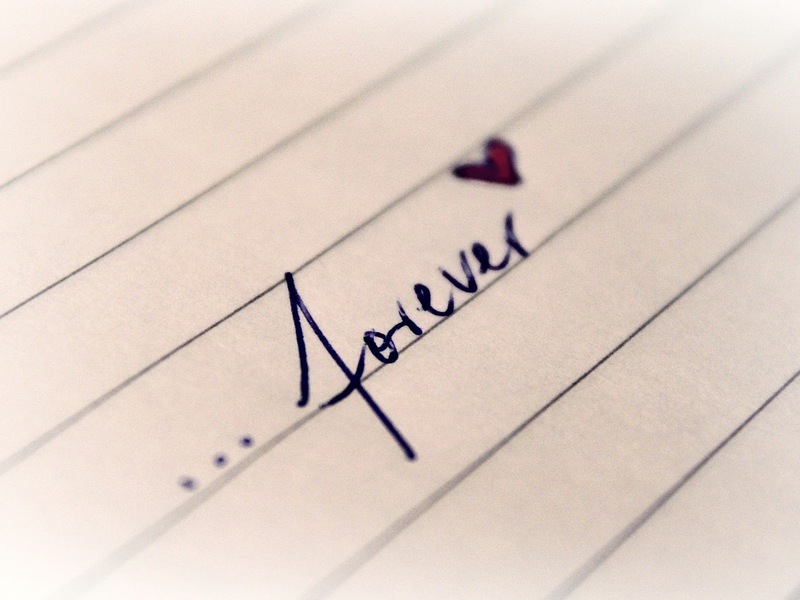 For it is only through relationships that true happiness is found. In chapter six of John, this exchange takes place: Then said Jesus unto the twelve, Will ye also go away? Then Simon Peter answered him, Lord, to whom shall we go? thou hast the words of eternal life. And we believe and are sure that thou art that Christ, the Son of the living God. Peter had no doubt that Jesus was the Son of God. Peter at first refused to obey Jesus, the one he was sure was the Son of God. Think about this for a moment. Suppose you were Peter, and knew, beyond a shadow of a doubt, who Jesus was. Would you have refused to obey him? What prompted Peter to act in this way? Was it simply because Jesus was serving him? Peter had no doubts, and yet he refused to obey the Messiah? And here's the thing. Jesus had already taught them many times to serve others. Being a servant would not have shocked Peter, would not have compelled him to disobey the Son of the living God. These men had traveled with Jesus for three years, had sat at his feet, hung onto his every word, and knew his teachings. Why was Peter so shocked? 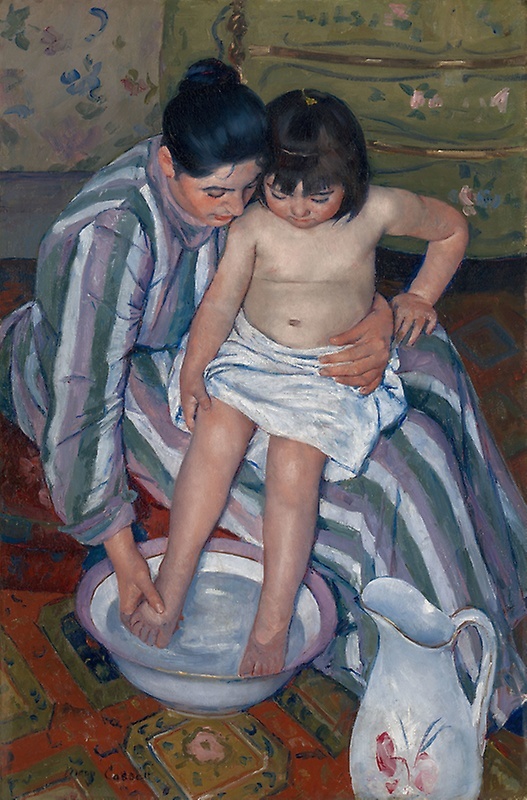 During that period of time, washing feet was usually a woman's work. More than that, it was often the lowliest slave woman's work. Besides household servants, often wives would wash the feet of their husbands. Sometimes children would wash the feet of their fathers, and disciples were known to wash the feet of a rabbi. Jesus shocked them by taking on the role of a lowly slave woman, or a wife, or a child, or a disciple. Later, in Acts, we read that Christians "have turned the world upside down." This is what Jesus did. He turned everything topsy-turvy. He took on the role of a slave toward his master, the role of a disciple toward his teacher, the role of a wife to her husband. He truly turned the world upside down. Lies broke them. The truth will heal them ... if time doesn't run out. When Fritz Brokken robbed the bank with his brothers, he did more than steal the meager resources of the town of Brokken. He also shattered Lydia Walsh's heart. When Fritz returns to Brokken to recruit reinforcements to save his brothers’ lives, no one believes his outlandish story. The sheriff throws him in jail. And he's running out of time. Lydia is a distraction he does not need or want. Or does he? 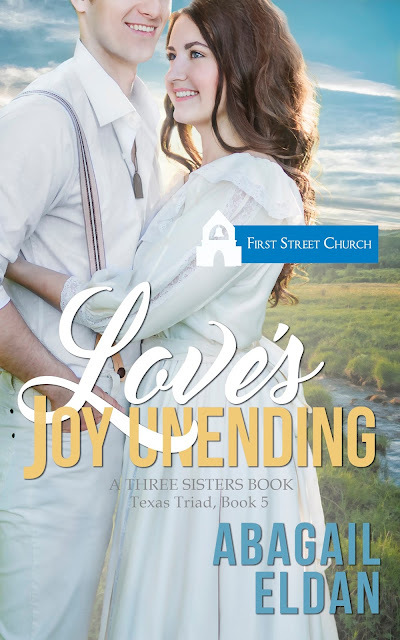 The truth of her love may be exactly what he needs to complete his mission. This is a stand-alone novella although it follows Brokken Arrow and Brokken Rising in sequence. 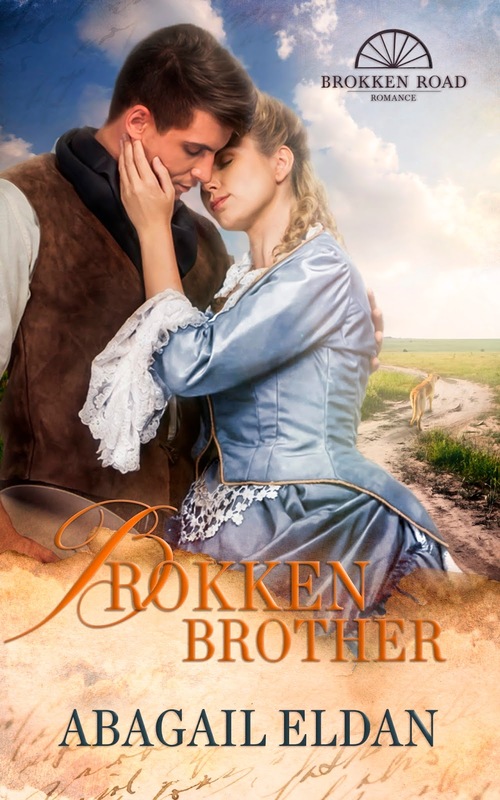 This is part of the Brokken Road Romances series. or the Brokken Road Romances Facebook page. And my other contribution to the series, Brokken Arrow. Two of my Brokken books have been released and two will be before the end of the year. 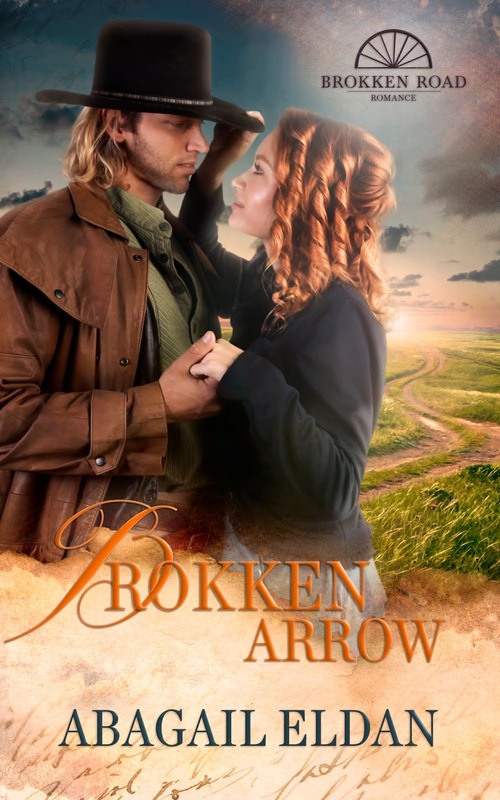 Grab a copy of This Brokken Road and Brokken Arrow while they are only 99 cents. My husband and I are studying The Forgotten Way by Ted Dekker. In today's meditation, he spoke of the boat we believe will offer us safety. Safety is but an illusion in this world. No boat can save us when the waves overwhelm. We search for financial security, we put up barriers to keep undesirables away, we search for the perfect person to marry, and the list goes on and on. Finances can be wiped out in a second, by illness, by Mother Nature, by poor planning, by a million unexpected things. Money is not security. Our spouse, our soulmate, may be unfaithful or have hidden character flaws (we call it baggage and all of us struggle with its weight), and divorce may linger on the horizon. 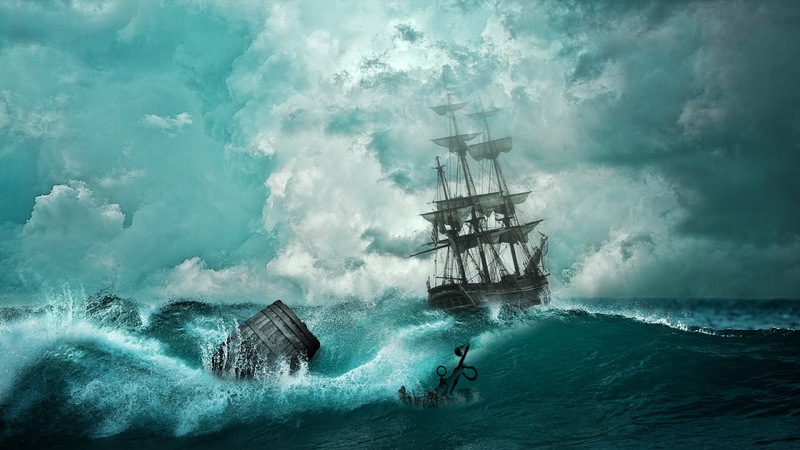 Sometimes we stay in the "boat" of marriage, holding to its sides as the winds whip around us. Marriage is not security. We put up fences and buy guard dogs and guns. Fences are not security. We build bigger boats, and boats are not security. We still fear when the storm approaches. We're doing it wrong. We have to "lay aside every weight" (Hebrews 12:1), and a boat is pretty heavy. You might think I'm mixing metaphors here. Hebrews is speaking of running a race, and I'm speaking of boats. Oh, but can you imagine this? You leave the boat and, not walk on the water, but run on the water, run to meet Jesus? This is almost beyond comprehension. Walking on water must be difficult enough but to run upon it? Through the storms? Even if Jesus holds out his hand and says "Come"? We live in this world but are not of this world. Nothing in this world is worth the encumbrance. It is not worth the binding, even if the tight wrapping of the linen feels secure. In Christ, we are unbound, set free, as Lazarus was from the tomb. We are unbound in order to live. So, what am I saying? Am I saying we should not strive for financial security, for the security of family, for the security of the right political party, the security of locked doors and locked borders? No. I am saying none of those things are important. None of those things can offer us safety. We kick against the pricks because of fear. We strike first to quiet the fear within us. And we need to stop it. Burn the boat. Our belief in God should be so strong, that when his son extends his hand and says "Come," we will walk, no, run, upon the waves to him. And I believe. God, help my unbelief. Ideas have coalesced, percolated into my mind, perhaps down to my spirit, ideas I’m likely to forget and will have to be reminded of again and again, not by a clanging gong, I hope, but by a gentle whisper. God is in the whispers. I open my arms and force myself to not tightly wrap them around me, in fear of feeling such power. When engulfed in the storms of life, we fret instead of rest, sink instead of rising. The "rest of Jesus " is within reach if we but grasp it. And that’s an almost impossible task at times. When all we see is the scarlet fire of pain from a migraine... When our hearts beat out of rhythm and our blood pressure rises ... When we watch our mothers die ... When our children stray, in a hundred ways, drugs, alcohol, sexual promiscuity, homosexuality, or something as simple as not adhering to our dreams for them, we despair. All we can feel are the traces, and we kick against the pricks. The pain seems too great to endure. We forget who we are. We forget why we are here. 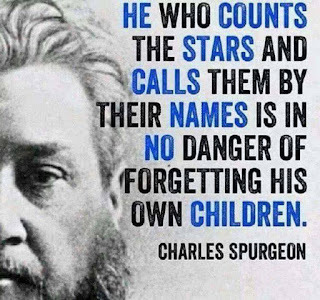 We forget who God is. We forget we have the promise of the Holy Spirit. God created us in his image--the image we see from the very first chapter of the Bible—He is the Great Creator. He made us in that image, to create. The world destroys our faith in ourselves, in our God. Creativity manifests itself in a million different ways, but it is everyone’s destiny, whether followed or not. We have free will and often make wrong choices. 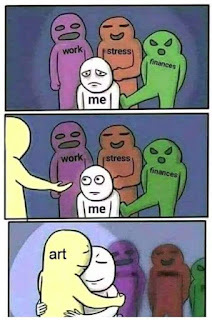 What do we replace our creative spirit with? Usually with rules and regulations. We tell ourselves that we must behave in the way the world tells us, or even, in the way the church tells us. Creation is destroyed in rule following. We fall in line, follow someone else’s creation, as distorted as their creation becomes, instead of listening to the whisper. I read a story when I was a young child that has always remained with me. A teacher gave out modeling clay and told her class they would be sculpting cows from the clay. The teacher gave step-by-step instructions. One child did not completely obey, making his own tweaks along the way. At the end of class, twenty identical cows were made and one unique piece of art. We get caught up in following the rules, in my case, writing books to please, that “fit” the genre. I have to remind myself I am made in God’s image. And if I align myself with him, together, with the Holy Spirit, we will create what God wants us to create, not what the world expects. And if my writing is overlooked by the world, that should not concern me. My job, as God’s creation, is to create with his help. 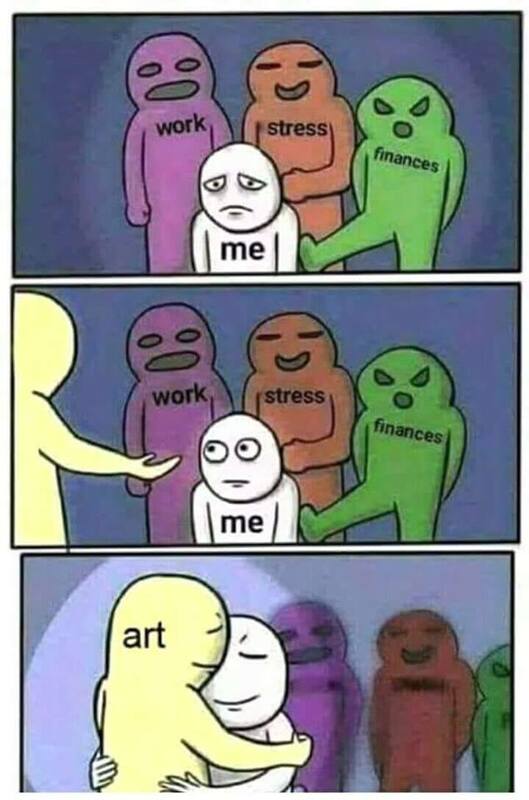 It satisfies my soul, gives me great joy, and is where true happiness resides. Book sales and great reviews, while balms to the ego, are not what bring peace, joy, and contentment. The world can never offer us that. The soul is worth more than the whole world. Our soul is more precious than the entire world! 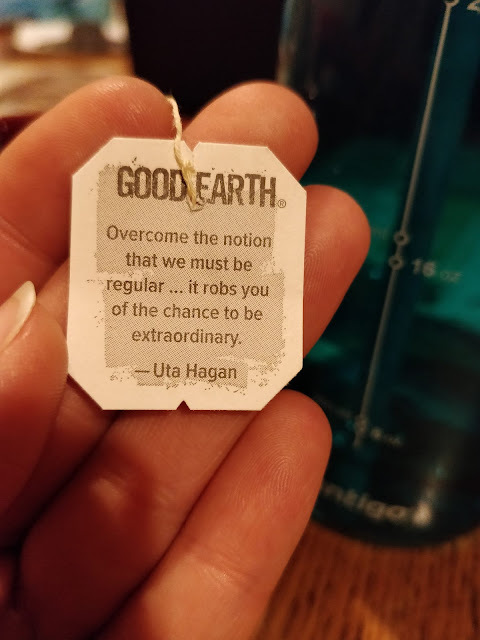 Think of that for a moment. And how do we lose our souls? By blindly following rules and regulations. As Christians, we are redeemed. We have no need to be anyone whom God did not create us to be. All we must do is seek, knock, and the door will be opened to us. We will receive greater joy than we can ever imagine. To achieve this, all else must be forgotten as we press forward to the prize that lies ahead. Five years of life faded away, five years already a misty haze. Waves crashed over, forced me to my knees, and I arose, sputtering and coughing, my vision blurs from the salt in my eyes. We bless the rain, when it washes salt away. Mist lifts and clarity comes. And the rain continues, a drizzle at a time. And most of the waves, illness, death, betrayals are the way of life, certainly. Learning comes: illness common; health uncommon. Death universal; life fragile. Loyalty scarce; betrayal certain. Five years. Pains accumulated. Troubles multiplied. The sculptor hammered away the crystallized salt. Not all, but some. And the chips scattered the floor, pierced my feet as I struggled forward. The core is revealed, but if I wash into the sea, the salt clings and must be hammered away again. Perhaps not as difficult as the first hammering and yet painful still. All are on a path. Some never find their way home. My way is easy to find. It lies along country roads. And the blue skies beyond, the white clouds lifted high, ripe with cleansing rain. The rain we bless. For it reveals where our treasure truly lies. Not in places it can be snatched away by eager hands. It lies within, the core left when the hand lays the hammer down. Treasure comes in this world but is not of this world. The hand that holds the hammer beautifies his sculpture to adorn the heavens, where the clouds reside. Isaac Asimov had claustrophilia. No, I didn't spell that incorrectly. He did not have claustrophobia, a fear of enclosed spaces but claustrophilia, a love of enclosed spaces. Many avid readers suffer ... urm ... enjoy the same condition, including me. 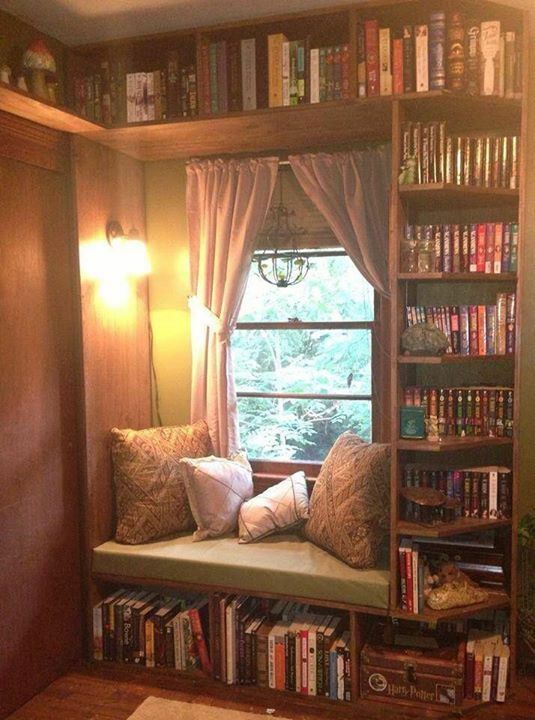 A popular feature on many book Facebook pages or websites is that of reading nooks. These are usually places about the size of a single width bed surrounded by books. The bed or couch area is covered in cushy comforters or pillows--a lush surrounding, a place to burrow in to feed our addiction to books. Why do so many of us who are readers feel this pull toward enclosed spaces? Could it have something to do with our personality? Perhaps avid readers tend to be more introverted and wish to escape the noise of the world. Remember that Jane Eyre would hide in the window seat behind the thick curtain to read? Ever since I read of Jane Eyre, I've wanted just such a place to hide away. 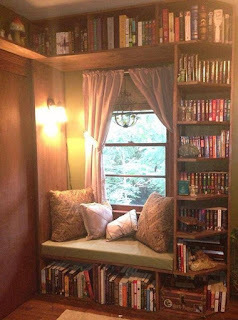 This reading nook, from Pinterest, is perfect. Is claustrophilia and the desire to be surrounded by books perhaps a desire to retreat into the womb where all was warm and safe? Where we were once comforted by the steady beat of our mother's heartbeat? And where we are now comforted by the steady rhythm of the flow of words through us? Asimov enjoyed confined spaces and liked to work in windowless rooms. Here are his words: When I sit down at the typewriter, I write. Someone once asked me if I had a fixed routine before I start, like setting up exercises, sharpening pencils, or having a drink of orange juice. I said, "No, the only thing I do before I start writing is to make sure that I'm close enough to the typewriter to reach the keys." Nothing interferes with my concentration. A cozy space, a cup of coffee, and a book, either one we are reading or one we are writing ... is there anything better for us claustrophilia sufferers? Pull the curtains shut on your way out! The first anniversary of my mother's death will be next Friday. We're packing and moving, and I'm weeping. It's difficult to understand my tears. Of course, I know much of the sadness is from losing my mother and brother last year, around this time. But there's more that is difficult to articulate. The busy-ness of our lives often keeps us from truly contemplating what lies ahead. Each breath we take, each step we take brings us closer to death. Death might take us unaware. Death might be long awaited. Yet it always hovers before us, tainting our dreams. Today I finished a study of 2 Timothy. This is Paul's last letter before he died, beheaded according to Eusebius, an early church historian. I tremble to think, not of the death that awaits me, but at the race I still have left to run, the good fight I must still fight. None of us is perfect, and we should be continuously learning, stretching toward the finish line, reaching forward to fully grasp righteousness. No, we will never fully attain that upon this earth, but it's something we must strive toward, even when we're weary. Here on earth we weep. But the Lord stands by our side and strengthens us. Later, on the day our race is finished, our tears will be wiped away forever. Ours is not a usual love story. It began before I ever met Carl. I'd graduated from college with a teaching degree and moved back home to save money. I taught for a few years at a local middle school before applying at a private Christian school in another city. The superintendent of the school hired me, and I began looking at houses with plans to buy. My plans were derailed. My father worked at Ft. Benning, Georgia after retiring from the army. He was 59 and decided to accept early retirement. My mother and father had purchased over fifty acres down home, in south Alabama, near family and friends, on which they planned to build a house. However, my father underwent a physical only to discover he had an aortic aneurysm. To make a long story short, my father died in the early morning hours following emergency surgery, on May 3rd, my mother's birthday. I talked to my mother and asked her if she wanted to move to south Alabama. Another option would have been for her to move with me to the city where I'd received the job offer. Or, we could stay put. 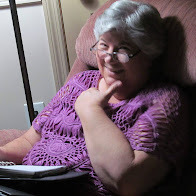 My mother, in a deep depression, was unable to make a decision. I considered each possibility but did not know what to do. I could not accept a job in Montgomery, Alabama, so soon after my father's death and regretfully declined the job offer. As it turned out, I remained at home with my mother and continued teaching at the same school for another year. One night I had a dream in which I traveled to the city where I'd received the job offer. Along the way, I became lost. I stopped at a gas station and asked the attendant for directions. He said, "Why do you want to go to Montgomery? All you've ever wanted is in Opp, Alabama, and it's right down the road." I awoke the next morning, the vivid dream playing through my head. Instantly, I made the decision and told my mother we would build the house on the land she and my father had purchased. She agreed. It took another year to build the house and then we moved at the end of May. It was foolish what we did, quitting our jobs and moving. I applied for teaching positions, in every school system nearby, but nothing was available. I applied for other jobs but was told I was over qualified. My mother, in her fifties, also could not get a job. Across the road from our new house was a gas station. My mother and I often walked over to purchase a Coke and bag of chips. 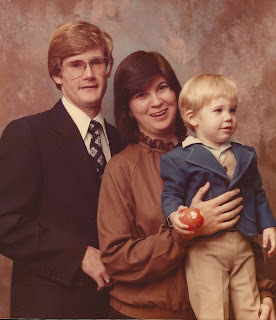 One day, when my mother had gone over by herself, the gas station attendant (coincidence?) asked about me and told my mother that a young man lived across the highway from us. She asked if she could give the guy my number. My mother agreed, without consulting me. The days turned into weeks and into months. The guy didn't call. Our savings dwindled. My mother said we would have to move to find jobs. I dug in my heels. The dream remained vivid. I felt certain it was the place I needed to be, that this place was my home. I signed up to substitute, and we managed to hang on for a little while longer. In November, the guy called. He explained he was our neighbor and asked if he could come over to meet us. Of course, I said. And he did. We married on January 17th. No, I don't recommend marrying someone you'd only known a few weeks. In our case, it worked. 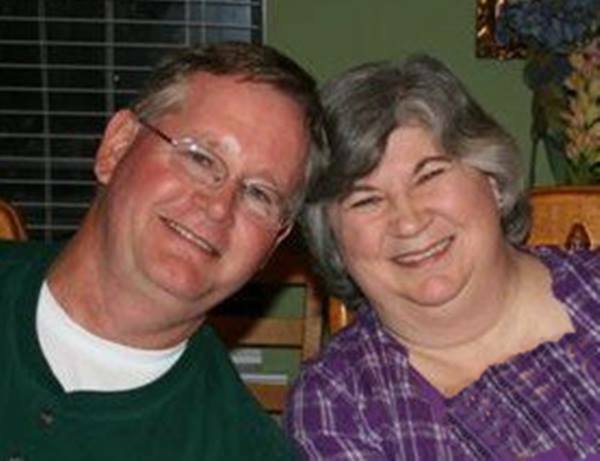 We've been married for 37 years now. A few years ago, we moved away from the farm, and it was a season of change for us. Last year, I told my husband I wanted to move back. In a few weeks, Lord willing, we'll be back home. The place I moved to thirty-eight years ago, the place the dream led me to, the place I met my husband for the first time, the place I fell in love, the place my children grew to adulthood, the place I love and long to be, the place where resides the love, the memories, the beauty, everything God planned for me, everything I dreamed. Everything I have ever wanted and much, much more. Carl and me, 37 years of marriage and counting. I'm in a fun Facebook hop today. Go here to find out more details: Abagail Eldan's Facebook Page. 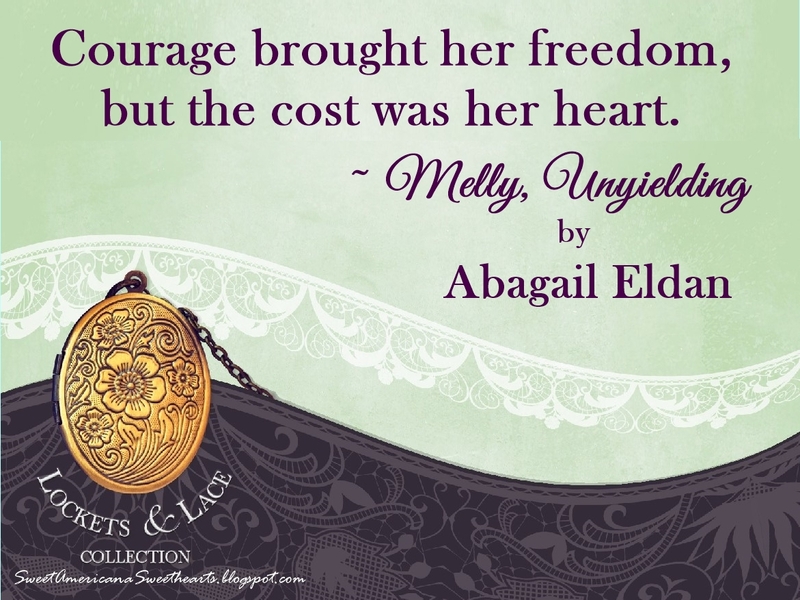 The funny thing is that Melly, Unyielding is the 4th book in the Lockets & Lace Series. This seems tailored made for my book. If you missed it, the series has just been published. 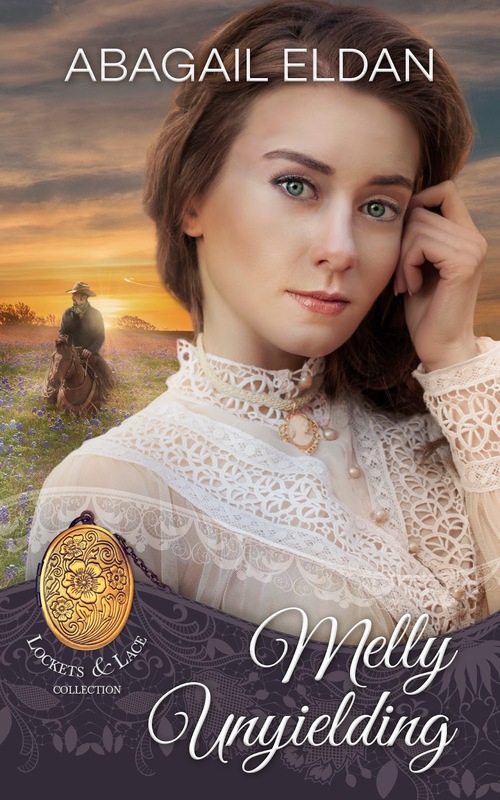 This book ties in with my first three western novellas. Not only that, the next two will also. If the Lord is willing (and me! ), I'll write three more for the same series. Texas Triad is the name of the series and includes novellas/books in groups of threes. The first three are the Three Brides, the second group of three are the Three Sisters, the third group will be the Three Brothers. Robbie & Taron, Libby & Ander, and Abby & Joshua make up the Three Brides. 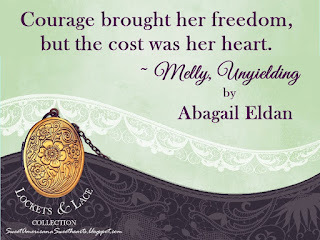 The Three Sisters are Melly, Unyielding, Love's Joy Unending, and Abby, Unbending. This novella will be published March 28th. My next book will be a Brokken book. As many know. I'm part of a great group of writers, including a New York Time's bestseller, and not one, but two Laramie award winners! I am so thankful to have found this great group of writers. We have a Brokken Road Romance Facebook page plus a blog. Please check them out. Next up for me will be the launch of our Brokken series. Watch for that in June. 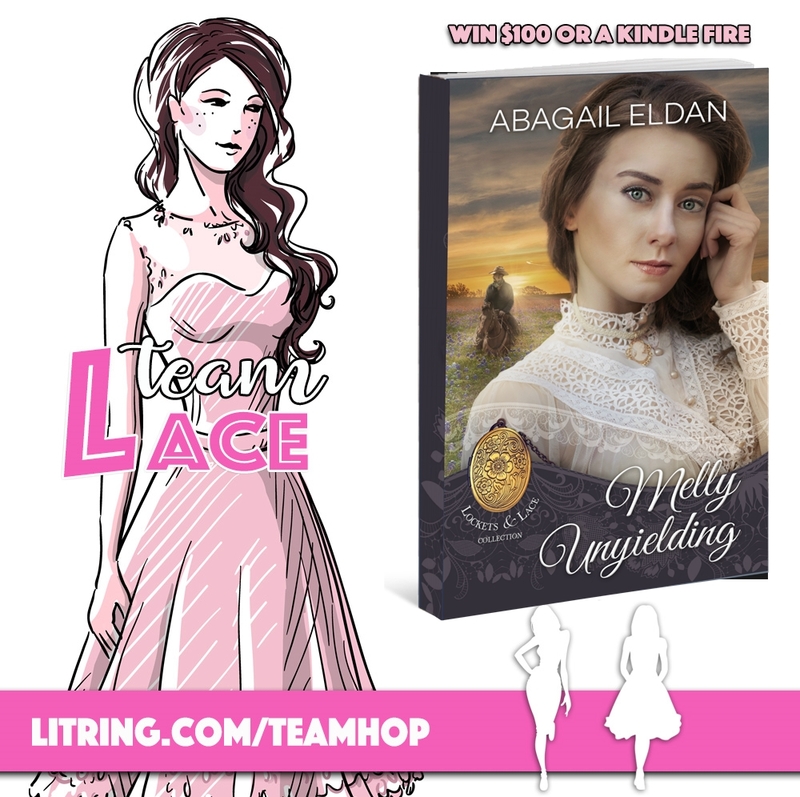 Don't forget to join in the Litring, Leather vs Lace, for a chance to win $100 or a Kindle.